Each week we’re profiling one promising company that’s been selected for SCALE – our early-stage startup growth program. Catch up with 60 of the world’s hottest startups at TNW Momentum in New York on November 16th. This week we bring you User1st, the company committed to helping individuals with disabilities obtain equal access to the Internet. 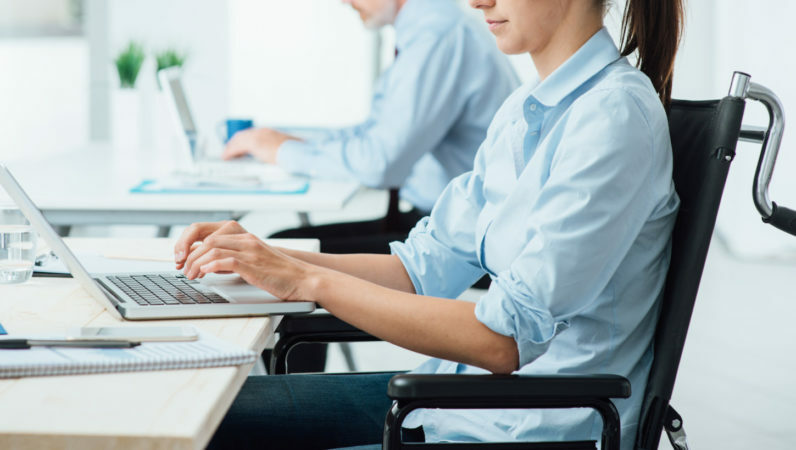 User1st’s aim is to provide an all-in-one product – detecting compliance issues/errors on web pages, correcting them, and then displaying a compliant page that is accessible to individuals with disabilities. IKEA, Durex and Nurofen are among the many high profile companies using the service. We asked CEO and Co-founder Amihai Miron some questions and can’t wait to find out more about User1st at SCALE. Tell us what you do in two sentences or less. User1st helps websites become accessible to persons with disabilities without changing the website code. As a User Experience Designer with a passion for helping those with disabilities, my aim was to conceive a better way for people to design and maintain accessible websites. My experience helping people with disabilities in my personal life allowed me to leverage my professional experience. The largest accessibility company in industry is SSB Bart Group. I do not know if I would describe them as a rival as they focus more on consulting and testing products versus a product that fixes issues. In fact, I hope we can work together, as this is a huge market with enough work for everyone that is dedicated and smart enough to enter it for the right reasons. Change the world. Getting rich comes second and only if you change the world in a way that is both positive and welcomed by the free market. Tell us one weird fact about a member of your team. Our North America Lead, Matt, can’t talk about most of his work with the government. We think he is some kind of spy. If you weren’t working on User1st, what would you be doing? I would be in the world of user experience design if not for finding my passion in accessibility. We hope to get more visibility and recognition for the unique product we bring to the market, plus some contacts who can help us work better with industry partners in order to bring accessibility to all! Also want your startup in front of 5,000 tech influencers in New York? There are limited spaces left for SCALE, so apply now.